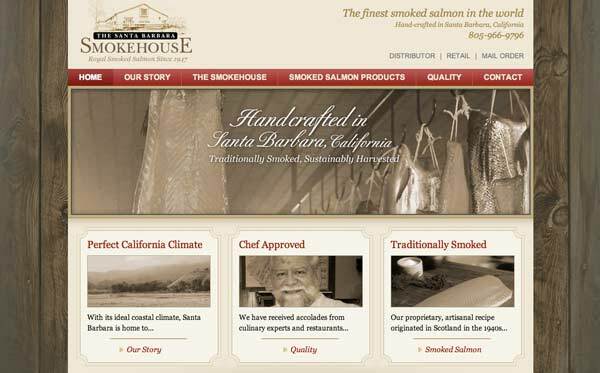 The Challenge: After spending years honing their craft and building a new artisinal salmon smoking facility in Santa Barbara, wholesaler Santa Barbara Smokehouse was ready to start marketing their products online. The Solution: Evolution Design created a custom themed WordPress website with a wood plank background and brown and red color scheme. Decorative content boxes and sepia-tone imagery help convey a traditional feel. 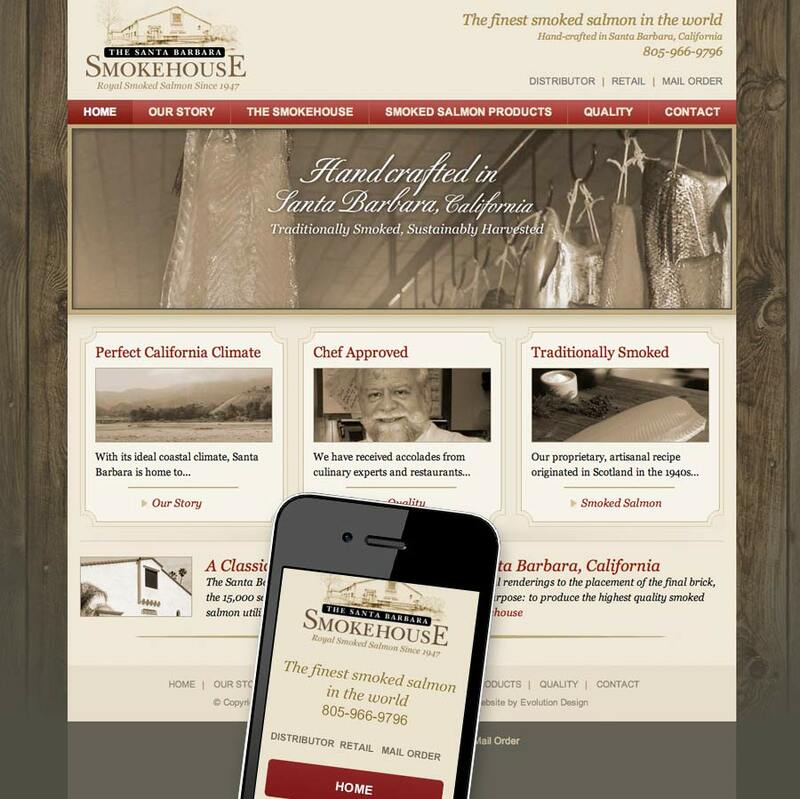 A mobile plugin allows switching between desktop and mobilephone views. A customized usage guide was also created to help the client team make simple changes internally.